CYC's Jess McLennan, Emma Hartshaw, Azaria Howell and a few other young people discuss youth issues with mayor Lianne Dalziel and councillor Aaron Keown at the 2016 Youth Action Plan event. CYC's Kendra Burgess-Naude MCing a discussion with Simon Britten, Emma Norrish and George Patena at our 2017 East Side Youth Focus. The Christchurch Youth Council (Rūnaka Taiohi o Ōtautahi) is dedicated to advocating for a strong youth voice in Christchurch. We aim to provide young people with the avenue to have their say. We aim to create a community where the youth voice is as valued as all others in the community. 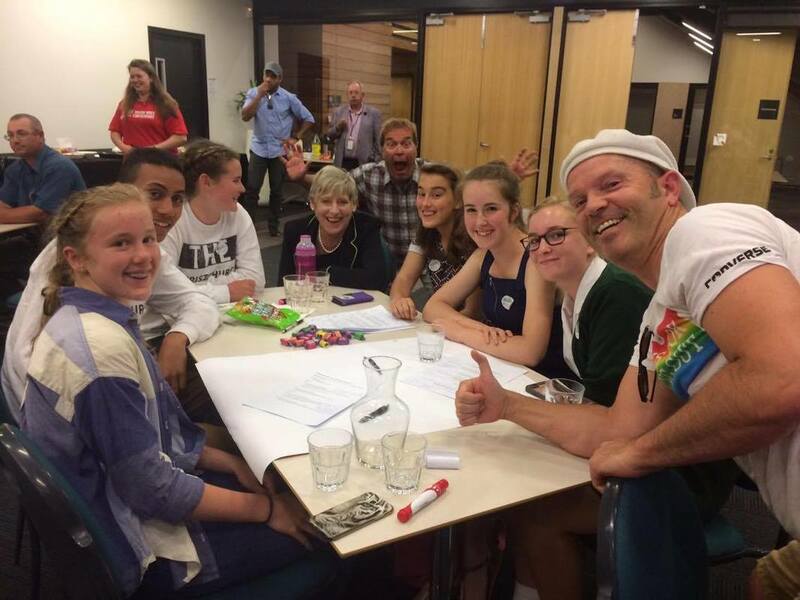 Imagine every big conversation about Christchurch's future having a young person around the table: that's our dream! 1) Advocate, support and strive for a stronger voice for young people. 2) Engage and promote the ideas of active citizenship and participation in order to encourage young people to contribute to their communities. 3) Create space and a positive environment to allow young people to speak about, and be involved with issues affecting them. 4) Foster networks and build relationships with decision makers in order to influence change for young people. The Christchurch Youth Council (CYC) was founded in the 1990's, and was initially a subsidiary body underneath the Christchurch City Council. A few years later, the decision was made to shift it from the City Council, after which point the Youth Council found itself under a number of umbrella organisations. In 2014, we decided to become an independent organisation and became an incorporated society consisting of 16 members between 12 and 24. 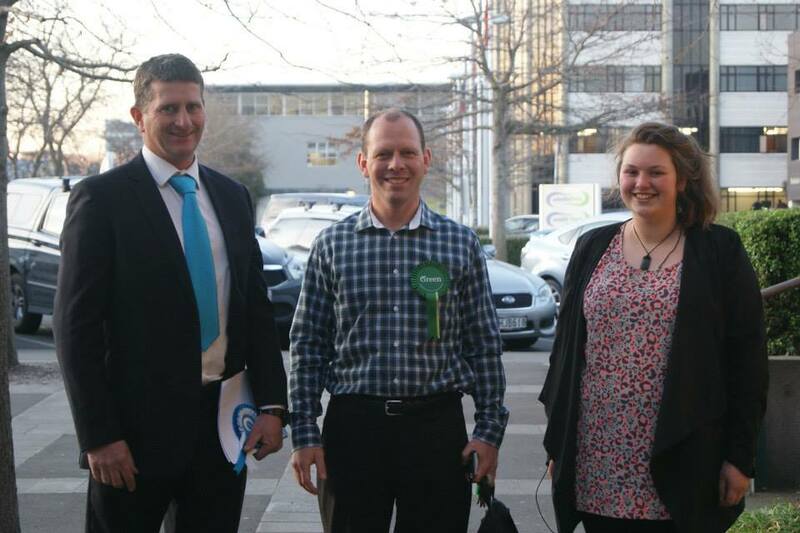 This independence gave us greater flexibility, enabling us to better represent the views of youth in Christchurch. Also in 2014 we hired a full-time employee, and acquired office space at Community House. This has greatly improved our connections with other organisations and increased the professionalism and legitimacy of the organisation. Moreover, it has enabled us to have a presence at more meetings, to organise better events and more of them, and generally to connect better with youth in the city and then make their voices heard. Provided submissions on important issues ranging from the ECan and CCC Long Term Plans to the Child Poverty Reduction Bill. All submissions are based on the views of the youth of Christchurch. Held several forums and events for us to hear what young people's views are including: WESpeak 2009/10/11/12/13/14. These forums focus on identifying the needs of Christchurch youth. Moreover the youth council has run Youth Takeover 2017/19, which has given us the chance to go out to young people throughout the city and hear their thoughts on issues important to them! Attended numerous meetings with stakeholders such as other youth organisations and meetings with CCC as well! Held many successful youth lead events, including a Street Market that over 1500 people attended, and holding the first ever CYC Amazing Race! Hosted debates on relevant topics concerning young people, including our Elections Debates! Signed up to an Inter-Agency cross-sector group called Strengthening the Youth Sector. Agreed upon a Memorandum of Understanding with Christchurch City Council - historic stuff! Organised the first TEDxYouth event on the South Island! Want more information on our past activities? Check out our resources page for annual reports and other useful information! There is so much more than we could fit on one page!